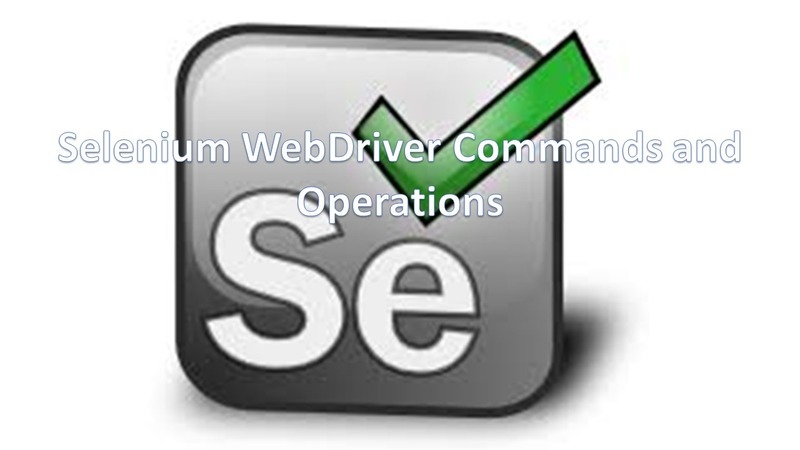 > Selenium WebDriver Methods are used to perform operations on Web Elements. WebDriver Methods – for performing operations on Elements. Description: Opens a specified URL in the Browser window. Returns Title of the Browser. Returns Current URL of the Browser. Loads a new web page in the current browser window. It moves a single item back in the Browser history. It moves single item forward in the Browser history. It closes the focused Browser. It closes all browser that opened by WebDriver during execution. It finds the first element within the current page using the give locator. It checks weather the Element is in enabled state or not? Checks if the Element is displayed or not? in the current web page. checks if the Element is Selected or not? in the current web page.